At Outlast, we pride ourselves on creating work that is culturally specific, dynamic, and allows our campers to be the experts in the depiction of their own narrative. 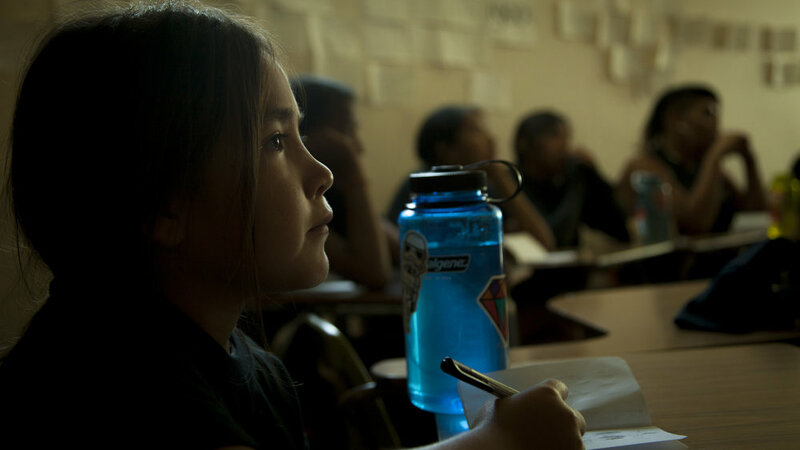 This year, the Outlasters of Pine Ridge Indian Reservation chose to focus on producing the "Wokiksuye" music video for award winning Indigenous American rapper , Frank Waln, and the "We are Made of Stars" visual poem for Native American published author Tanaya Winder. 15 Outlasters uniting for 1 goal! This year our campers came from the various regions of the western United States, but we were honored to have a plethora of campers representing various districts of the Pine Ridge Indian Reservation return. We hosted camp at the Oglala Children's Justice Center and Red Cloud School. Our Outlasters worked together to create bodies of work that depicted their view of life on the Rez. 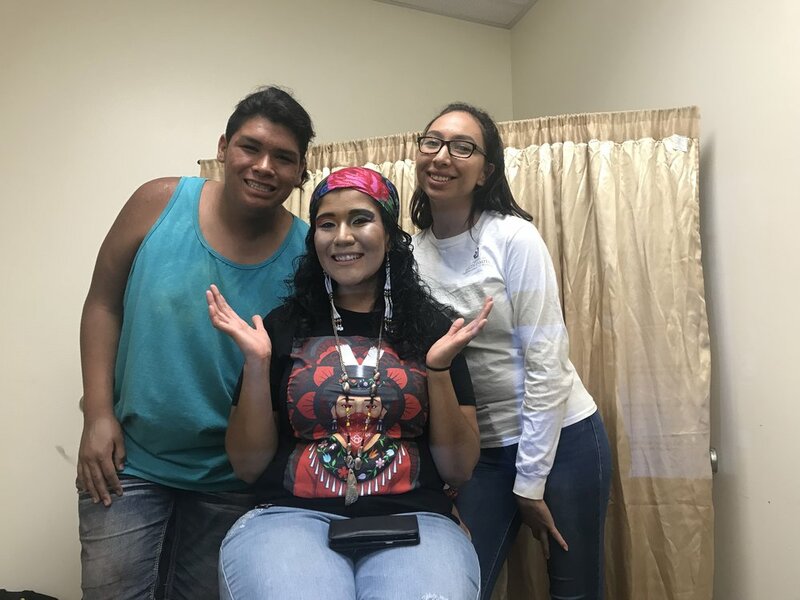 It was imperative to our campers to not only empower Native viewers but depict images that fought negative stereotypes and uplifted their culture and community. Mentors worked with campers to make sure their stories were honored and told from their perspective. Campers made costumes, choreographed dances, created makeup and costume concepts, and chose locations that fit their visions for the music video and visual poem. After days of hard work, scheduling, and coordination, campers successfully completed both pieces of visual work. finished works can be viewed below. Please watch in hd. The campers designed Frank's music video to include both traditional and contemporary Lakota cultural references. 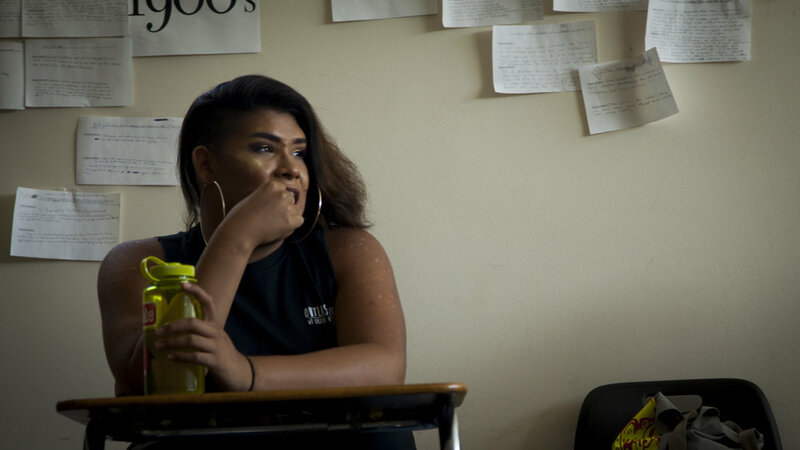 Our Outlast makeup artist, Lane, handled Tanaya's makeup, while Outlaster Charlee, handled the cinematography.